Surrogacy is an arrangement in which a woman carries and delivers a child for another couple or person. The most common indication for Surrogacy is that the woman does not have a healthy uterus. There can be many reasons for this including: infection, small size, scar tissue and poor endometrial development. The uterus could have been surgically removed or the woman could have been born with ovaries but no uterus. It is also offered to women who are medically unfit to carry a pregnancy or have had repeated pregnancy loss due to uterine factors. Deciding to go in for surrogacy is a very hard decision for most couples, because of the many variable involved, and they have many concerns – social, legal, emotional and medical. 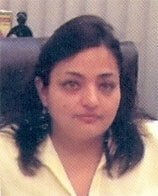 Surrogacy center in India which is fully equipped with high latest technology instruments and treatments. How to find a surrogate and selection? Surrogate agencies which are under the recognition of ICMR guidelines and these are called art clinic. Surrogacy agreement signed between two parties a couple and a surrogate mother who is stranger or also be a friend or family member. If you cant conceive, surrogacy creates a chance for you and your partner to parent a child who is at least partially genetically yours.For gay male couples, surrogacy offers a route to parenthood. (If you and your partner have an open arrangement with your surrogate Mother, you can be closely involved with the pregnancy and be present at the birth). Some surrogates Mothers experience difficult emotional and psychological issues over letting the baby go. You may feel suspense and anxiety while waiting for a pregnancy to reach full-term safely.You may also worry about legal complications, the ethics of surrogacy, and the possibility that the surrogate will change her mind. Any agreement made with a surrogate Mother is not recognised as a legally-binding contract.You and your chosen surrogate may have difficulty making mutual decisions during pregnancy, such as which antenatal tests she has and how to manage the pregnancy and birth. 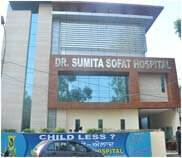 Sofat Hospita surrogacy Treatment in Delhi Punjab India. Surrogate who agree to carry an embryo conceived through in vitro fertilization, The authors purpose to permit fertility centres authorized to create a surrogacy center where a team of gynecologists, psychologists, lawyers and internists, would provide medical psychological and social monitoring of pregnancies for others. If one parent applicant is a women, It would have to produce a certificate stating his inability to carry a pregnancy to term then commissioning parents are mentioned as the legal parents from the birth certificate. Surrogate mothers and those hire them, couples want the baby they always wanted poor countries women make a single gestation the equivalent of several years of their usual salary. Some other heartbreaking stories, It tells how sterile individuals but also of lesbian and gay couples In search of children. Managed to form families being able to pay. But no mistake: it is first and foremost a business, The product sold by this business outsourcing of pregnancy which is today for customers of a range of customizable options.